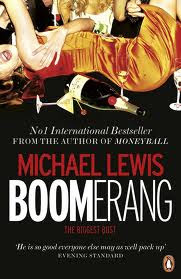 ‘Boomerang’ by Michael Lewis is a delightful book albeit a scary one. It’s a very well-researched written like a thriller novel about the breathtaking stupidity and shameful self-interest of the people who caused the GFC, most of whom are yet to be held to account. It is also a book about the incredible and on-going dismal failure of our political systems. Being from the land of the boomerang as a hunting weapon I know how boomerangs can kill. And having thrown them, I know that properly crafted boomerangs come back to you. Whatever we put out in life, properly crafted or not, comes back. This concept is as old as time of course. 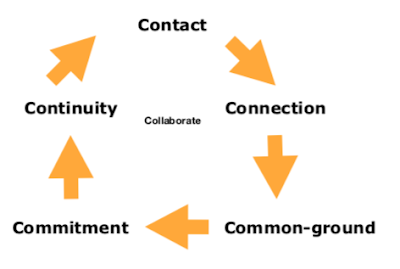 In everything you do beware of the boomerang effect. What your giving will be reflected in your getting. And sometimes the getting is years after the giving. This being the case it is likely therefore that a return on investment is still coming for those who engaged in foolish and greedy behaviour in the financial world. The great thing about life is that it is never too late to make amends. If you have wronged others whether you meant to or not, make amends today. Another interesting aspect of Michael’s book is that many people made poor product choices pre GFC and so there are really no innocent bystanders. If you have made a poor buying decision in the past like taking out a loan you knew you couldn't afford you have been just as foolish as the lender. Learn your lesson and never make the same mistake again. Be careful of the future choices you make. In the age of the internet all products and services can look like and even feel like a million dollars. Not everything is as it seems. And if you are walking by foolish, stupid, careless, or greedy behaviour your silence is in effect agreement. Take a stand. Speak up. There is no future for the world if the majority of it’s citizens sit in silence while all hell is breaking loose.